It seems every second, something big is being moved, built, or torn down in the busy beehive known as Los Angeles. 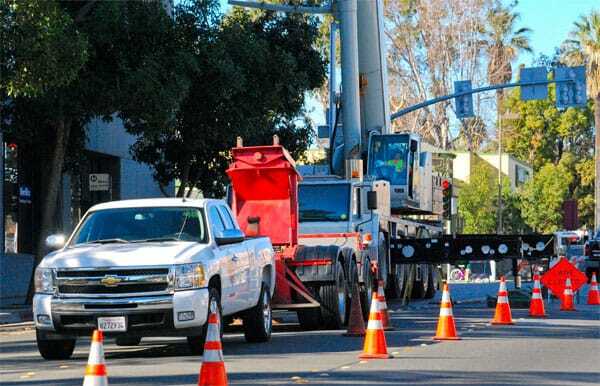 To keep the mobile city mobile, traffic control services must perform a daily balancing act to manage dozens of components – including cranes. RCS has made it a point to know the crane rental business top to bottom. They’ve been helped tremendously by extensive experience. Seldom does a day pass without a crane job appearing on the RCS schedule. It all adds up to a thorough understanding of what every crane project needs and how it needs to be done. 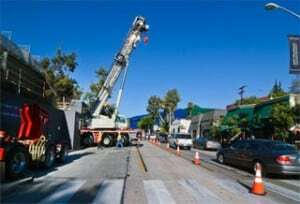 At the core of the company’s crane expertise is its traffic control technicians. Not only are they bolstered by years of experience, over half are certified riggers trained to provide on-the-job assistance – but only if it’s absolutely needed. Not a common requirement. Still, it’s nice insurance policy to have in your back pocket. Not surprisingly, crane companies across the board are big fans of RCS – primarily because the latter makes things so much easier. When an expert, experienced RCS crew arrives on a job, they typically adapt with lightning-quick reflexes. No large learning curve to eat up time and money. The experience and skill of RCS crews have made them incredibly versatile. True, they deal primarily with hydro cranes. Nevertheless, they can handle the full gamut, including tower crane assemblies and brawny crawlers that require acres of maneuvering room. As RCS sees it, crane expertise is indispensable to one of its essential services – traffic control planning. A crucial step at the planning stage is coordinating crane activity and assembly with challenges such as multiple lane closures, traffic diversion, and even permitting. Thanks to the company’s proven proficiency with cranes of every type, issues are covered well in advance and surprises are minimized. The result is not only smooth traffic flow through the bustling L.A. streets, but greater safety for both pedestrians and crews.This acclaimed crane expertise can maximize the efficiency and safety of any project, including yours. To discover how, connect with the Traffic Control Service that knows crane rental and the company that’s synonymous with traffic control expertise – RCS SAFETY.